The annual Entourage Boat Party! 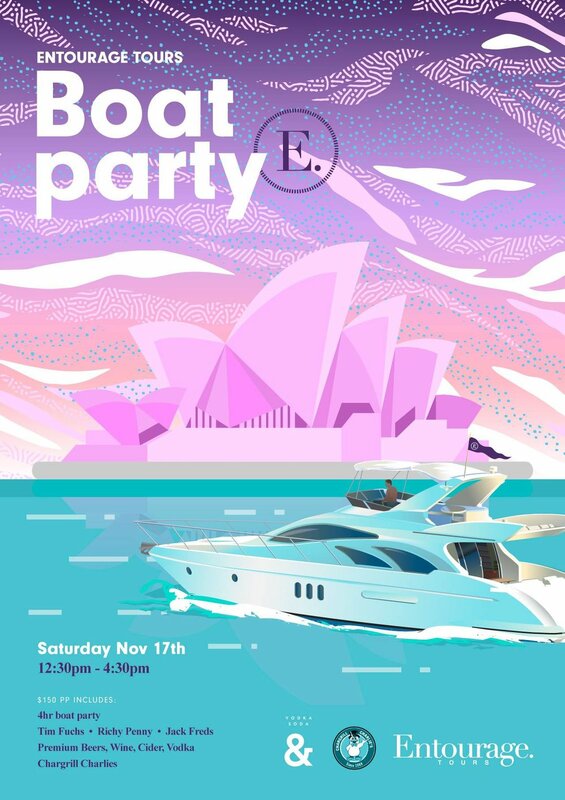 4hrs of power aboard the MV Coast with your favourite Sydney-siders on the decks (& Tim from Nooosha). Includes: Premium beers, wines, ciders & lunch by the one and only Chargrill Charlies. You'll also get a couple of refreshing tins thanks to Vodka Soda & (www.instagram.com/vodkasodaand). Woolloomooloo Wharf, Cowper Wharf Road, Woolloomooloo. The boat will pull up on the wharf directly outside China Doll restaurant. We ask everyone to please be there at 12:15pm so we can depart on time and get stuck in! Pull out the stripes and linen. See you on the harbour! Payment Options- Direct Transfer or Credit Card. Please direct message for credit card payment and we will give you a call. See you on the harbour! !